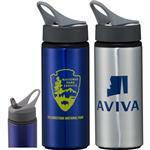 Make your next promo event as cool as this NEW 26 oz Metallic Flair Sports Bottle. This bottle has a handy tethered lid and wide mouth which easily fits ice cubes. 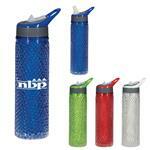 The stylish metallic sheen will make your next marketing strategy stand out! With a variety of lid and bottle colors to choose from you can mix and match for a unique look. 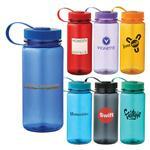 Made in USA, durable and stylish bottle molded with food-safe, Dishwasher-safe, BPA -Free Tritan™. Production Times Available: 5 business days standard for production for 1 color imprint. Dimensional Weight for UPS & FedEx: 35.00 lbs.